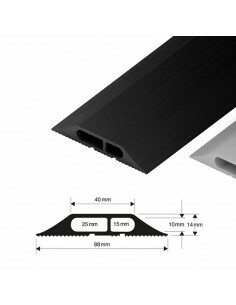 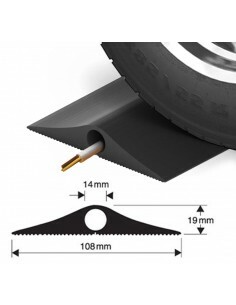 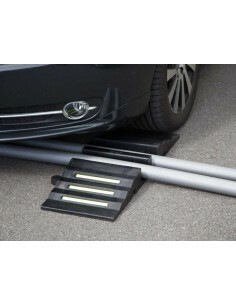 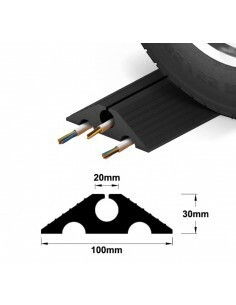 Features a snap-fit base for easy installation of cables. 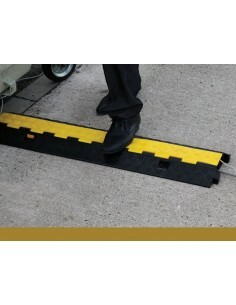 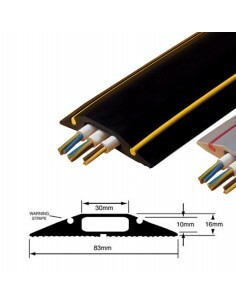 A high-visibility floor cable protector with hazard warning stripes in a contrasting colour. 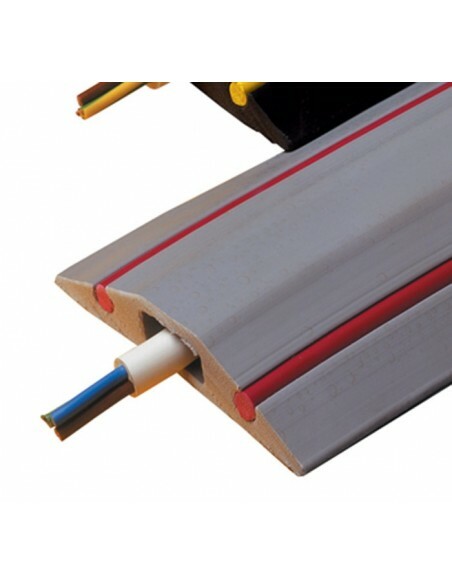 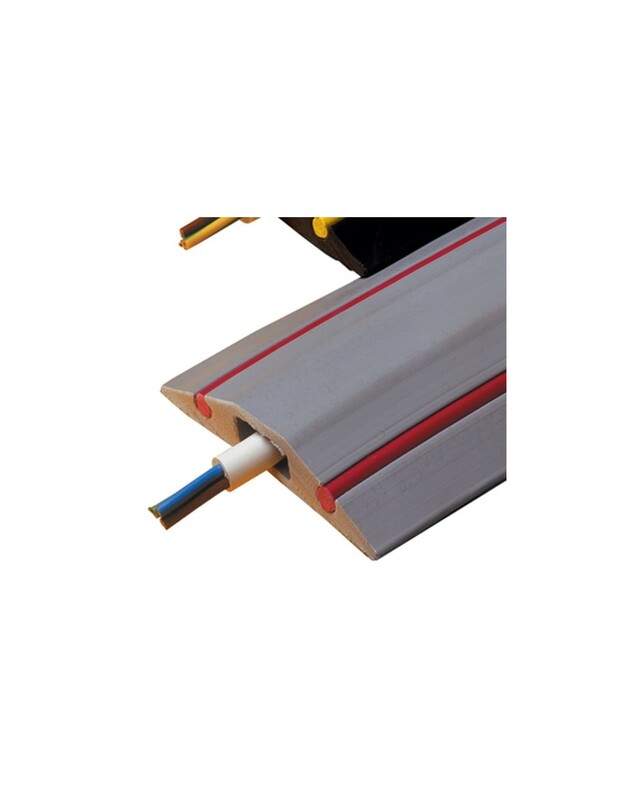 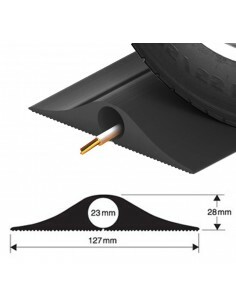 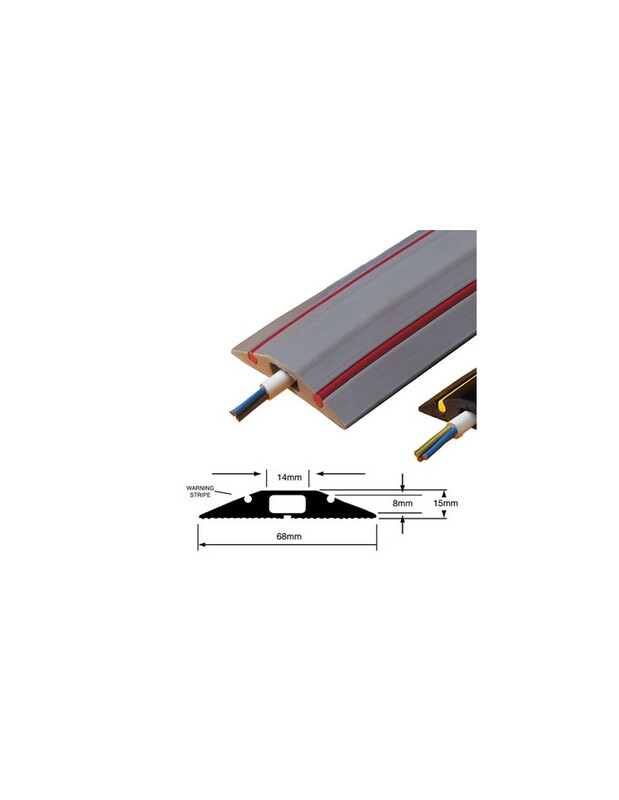 This cable protector has a ribbed non-slip base which also features a 'snap-fit' membrane which can be broken by hand which makes it safe and simple to install the cables into the chamber. 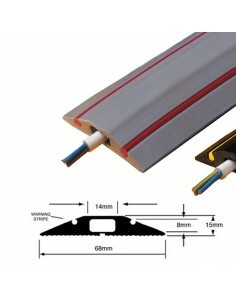 Secure loose trailing cables to reduce trip hazards and prevent damage to electrical equipment.